Pea (Pisum sativum L.) is a cool season legume, a diploid species belonging to the Leguminosae family (aka Fabaceae). Domesticated about 11,000 years ago or so, peas are an important human and animal food crop cultivated throughout the world. Since 2003, global cultivation has ranged between 1.6 to 2.2 million planted hectares (4-5.4 million acres) producing 12-17.4 million tons per year. Peas are a rich source of protein (23-25%), essential amino acids, complex carbohydrates, and mineral content like iron, calcium and potassium. They are naturally low in sodium and fat. Today peas are used in soups, breakfast cereals, processed meat, health foods, pastas, and purees; they are processed into pea flour, starch and protein. More to our point, they are one of the eight so-called "founder crops": among the earliest domesticated crops on our planet. The latest research (Smykal et al. 2010), suggests that both P. sativum and P. fulvum were domesticated in the Near East about 11,000 years ago from a now-extinct ancestor of Pisum; and P. abyssinian was developed from P. sativum independently in Old Kingdom or Middle Kingdom Egypt about 4000-5000 years ago. Subsequent breeding and improvements have resulted in the production of thousands of pea varieties today. The oldest possible evidence for people eating peas is that of starch grains founded embedded in the calculus (plaque) on Neanderthal teeth at Shanidar Cave and dated about 46,000 years ago. Those are tentative identifications to date: the starch grains are not necessarily those of P. sativum (see Henry et al.). The earliest evidence for the purposeful cultivation of peas is from the Near East at the site of Jerf el Ahmar, Syria about 9300 calendar years BC [cal BC] (11,300 years ago). Archaeological and genetic research indicates that the pea was domesticated by people purposefully selecting for peas that had a softer shell and ripened during the wet season. Unlike grains, which ripen all at once and stand up straight with their grains on predictably sized spikes, wild peas put out seeds all over their flexible plant stems, and they have a hard, water-impermeable shell that allows them to ripen over a very long period of time. A long producing season may sound like a great idea, but harvesting such a plant at any one time is not terrifically productive: you have to return time and time again to collect enough to make a garden worthwhile. And because they grow low to the ground and seeds arise all over the plant, harvesting isn't easy. What a softer shell on the seeds does is allow the seeds to germinate in the wet season, thereby allowing more peas to ripen at the same, predictable time. Other traits developed in domeseticated peas include pods that don't shatter on maturity--wild peapods shatter, scattering their seeds out to reproduce; we would prefer that they wait until we get there. Wild peas have smaller seeds, too: wild pea seed weights range between .09 to .11 grams and domesticated ones are larger, ranging between .12 to .3 grams. 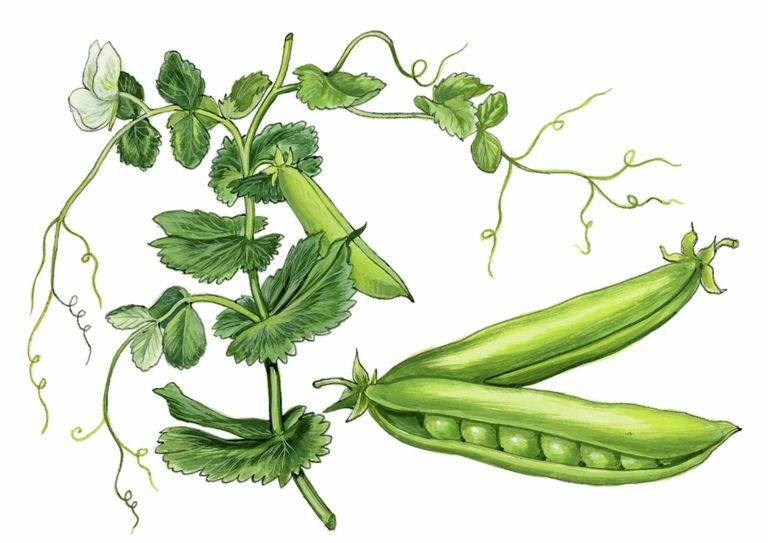 Peas were one of the first plants studied by geneticists, starting with Thomas Andrew Knight in the 1790s, not to mention the famous studies by Gregor Mendel in the 1860s. But, interestingly enough, mapping the pea genome has lagged behind other crops because it has such a large and complex genome. There are important collections of pea germplasm with 1,000 or more pea varieties located in 15 different countries. Several different research teams (Jain, Kwon, Sindhu, Smýkal) have begun the process of studying pea genetics based on those collections. Shahal Abbo and colleagues (2008, 2011, 2013) built wild pea nurseries in several gardens in Israel and compared the grain yield patterns to those of domesticated pea. Those studies are the ones that provided evidence for the fact that you can't really grow peas successfully unless you find a way around the hard seed coat and long-term production. 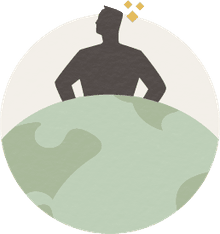 This article is a part of the About.com guide to the Plant Domestication, and the Dictionary of Archaeology. Who First Cultivated the Tasty Garbanzo Bean? When and Where was the Cassava Domesticated? Did a 10,000 Year Old Discovery Lead to a New World Domesticate? Why Would Anyone Try to Domesticate a Goat?